Ol' Thyme Festivals, Ugly Sweater Runs, Visits with Santa right at the North Pole. 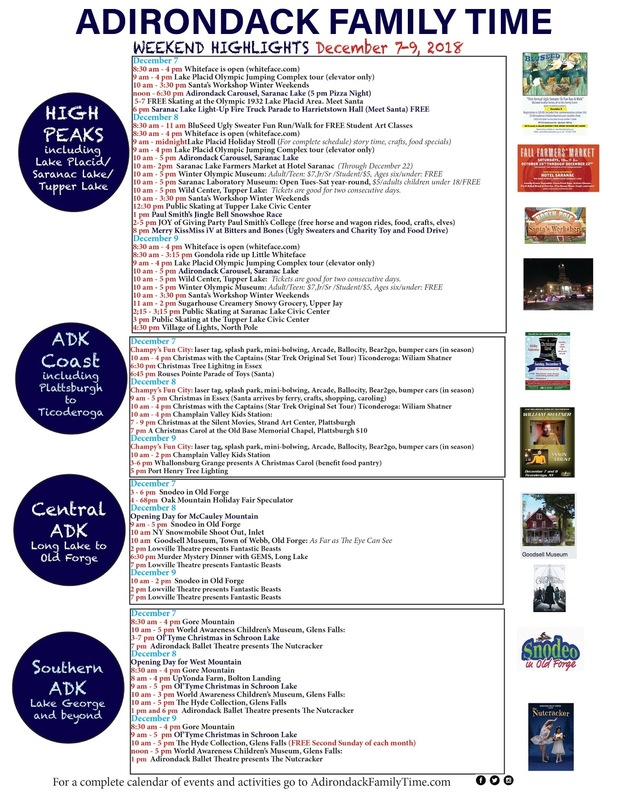 Those are just a few of the many Adirondack Winter Wonderland events and activities happening this weekend. Listen to a radio play version of A Christmas Carol or test out the latest snowmobiles at Snodeo in Old Forge. Santa visits Essex by ferry, not sleigh, for Essex Christmas... and plenty of other ideas!